one of the most popular tools that you’ll need if you really want to proceed forward with plyometric training and is a relatively cost effective piece of equipment to purchase. The great news is that you can find a plyobox at just about any fitness store and if you don’t have one around you, you can likely make your own from materials or items around you if you absolutely must. This said, a plyobox is not a one-size fits all piece of equipment. 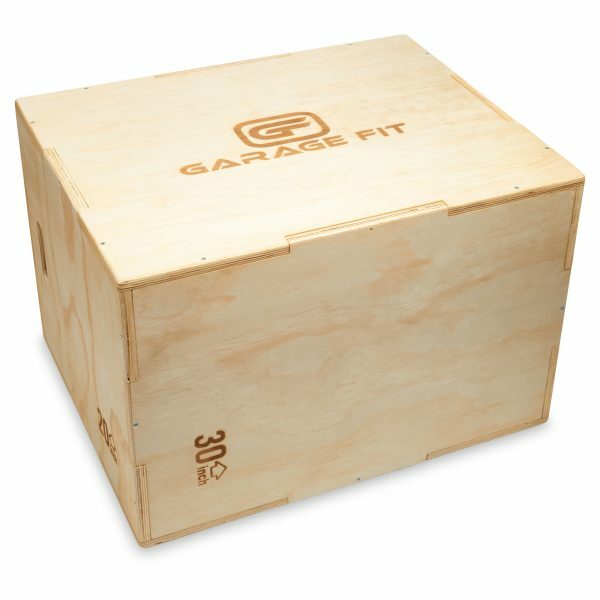 The height of the plyo box is going to have a big influence on the nature of the workout that you experience. By understanding how height effects things, you can ensure that you are making a wise decision as to which plyobox to use. The first thing you’ll want to look at is what your height is. Are you a taller individual or someone who is on the shorter side? The taller you are, the higher your plyometric box should be. This is because as you step or jump onto the box, you’ll need the box to accommodate your stride length in order to provide a challenge that will improve your fitness level. If you are very tall using a short plyobox, chances are, that exercise is going to feel incredibly easy. In addition to factoring in your height, you also want to think about your skill level as well. Note here that the higher the box is, the more challenging the exercise will be. Essentially, if you are stepping or jumping onto a very tall box, you are going to require that much more effort to get the job done. Think of it this way, which is harder: walking up one step or walking up three steps? Clearly three is because the total distance you must travel is higher. Again though, height does need to be taken into account there. It needs to be higher if you are more advanced relative to your height level. You’ll also want to stop and consider the exercises you are doing as well. If you are doing something like a push-up off the box, it may not be quite as imperative to have a higher box compared to if you were doing box jumps and trying to improve your vertical for instance. While for many of the exercises you perform the height of the box will make a difference, this isn’t always the case. Take into account what moves you plan to do that particular workout and choose your box accordingly. Finally, also think about the main muscle group targets you want to work. If you are strictly doing a leg workout for instance, note that the higher the box is, the more emphasis you’re going to place on the hamstrings and glute muscles, especially if doing single leg work on that box. The lower the body, the more quad focused the movement will be. Depending on which of these muscles you want to develop more, that can determine the height that you should be using. So keep these points in mind as you select your plyobox. It’s a great piece of equipment to have on hand when doing your workout sessions but you do need to understand how to use it properly.